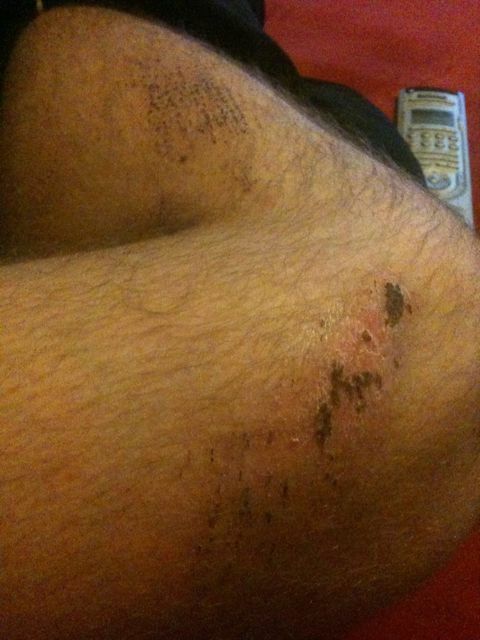 Its been a couple days since my bike crash now. 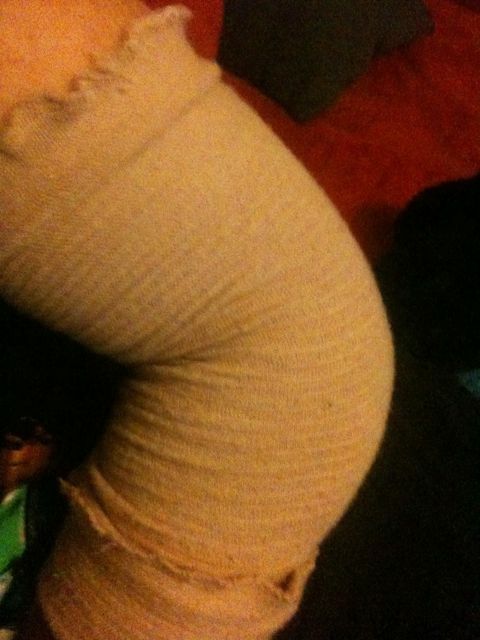 Went back and visited the doctor this morning and they took of the bandages and checked the elbow. They decided to keep the stitches in because they are holding at the moment however they want to redress it every couple of days. This is looking to be expensive. 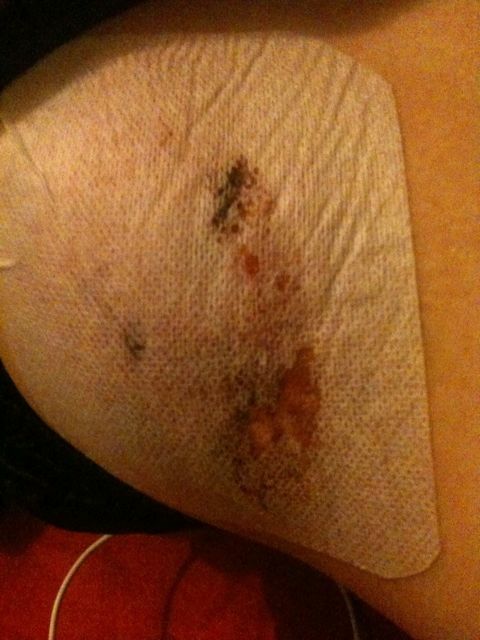 However I do want it to mend ASAP so I can get riding again. So new bike it is and I am sorting out my finances so I can make this happen. So when I am back on the bike hopefully it will be my new bike. Hip is still sore if I bump it or have a belt on and a really nice black bruise has formed under the large patch I have over it. Because of the little damage to the bike itself I can only assume it is my hip and elbow that took the brunt of the impact and then I used the rest on my body to bring things to a stop. 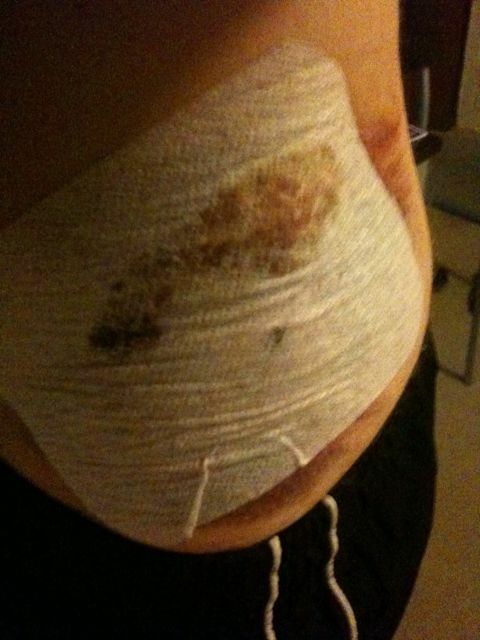 This is an update to my earlier article on my bike crash today. After getting home and attempting to have a shower I wrote my frost blog post. While doing this the bleeding from my elbow was getting quite bad. Having no chance of getting the bandage on correctly and not having what I needed to do anything useful to my wounds It was time to get help. My brother was not now returning he had a wedding to go to and my parents over east transport was looking to be an issue. However my cycling buddy Shaw Gow went the extra mile today and picked me up driving me to kalamunda to see the nurse. After initially being looked at the doctor on duty said it will need stitches. After over an hours wait laying on a table the doctor came to address my wounds. The elbow took a number if stitches.I don’t know how many but i have a feeling they may have broken. Under all the bandaging it’s either bleeding or weeping. Sorry I’m not taking it all off to show you. My hip is also very painful. Needed to get out if my shorts the belt rubbing against me was horrible. 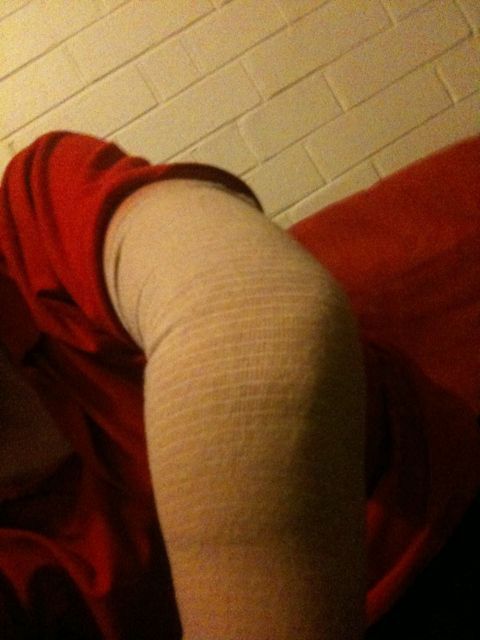 Between my extremely painful elbow and hip I have come off ok. 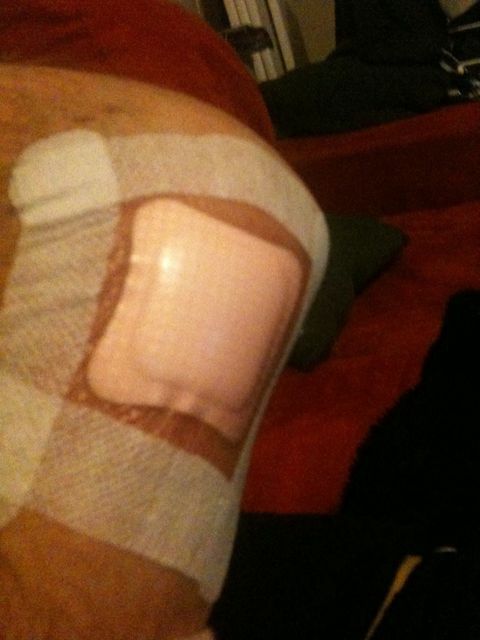 I have to go back Monday to have it re-dressed. After getting back home thanks to Shaw hanging around kalamunda until I was done and dropping me home I then wanted to make good. The ladies house who I crashed in front of I wanted to go back say thank you. However when I returned they were not home. I left a box of chocolates for her and her kids and have spoken to her since. Apparently another neighbor also offered help but was not required and didn’t know who it was. If there is such a thing as a good place to crash this must have been it. Mono pod to help me take some photos tomorrow. Must be time forked panadol. Elbow is murder again. Bike has 5 snapped spokes and a number of the rest are bent. Controls on the front bars tool a beating. Thats all u have had a chance to look at now. Selling the bike has just become a lot more difficult if not impossible now. Bike is insured so possible an avenue there. Will need to get the frame checked out as it is what seems to have broken my fall. My kit clothing also go torn and ripped. Even though i will get flack from my non cyclist friends I may now shave my arms and legs in case I take a fall in the future. 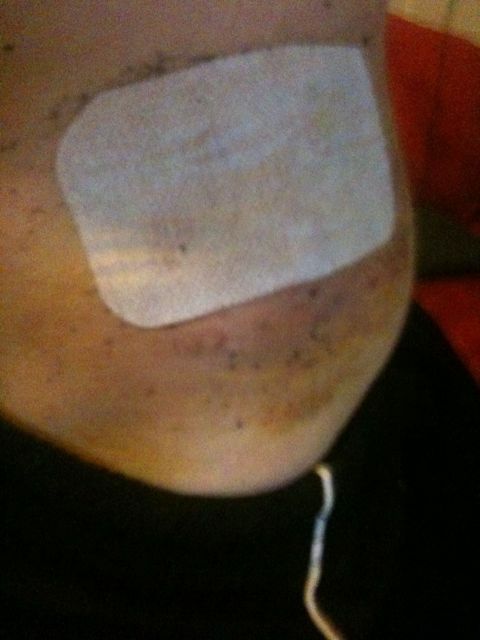 Hopefully I can get back on the bike or a bike real soon. This has not put off but I am sad panda that I’m missing out on the 200km ride but it could have been much worse.